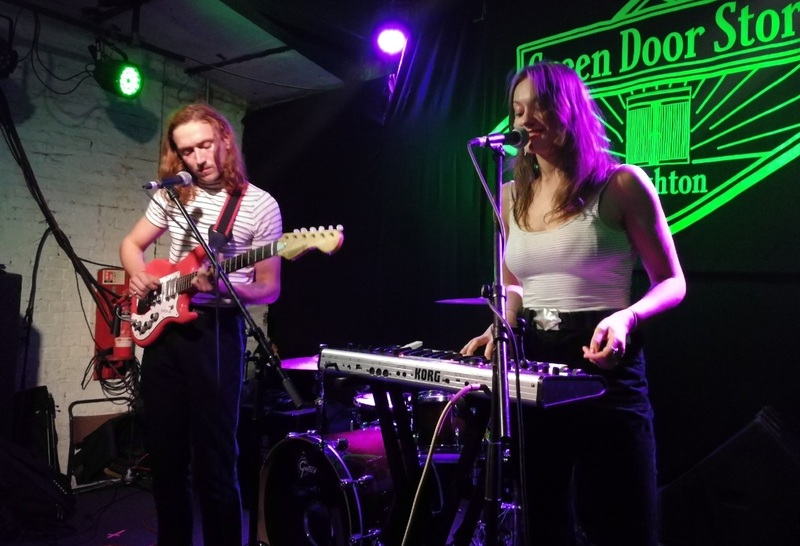 To round off three days of great local gigs (Friday – Free Love Devotional Ceremony + Amber Arcades and Saturday – Halo Maud), we headed out on Sunday evening to the Green Door Store to see three new bands ply their wares. Funnily enough, up until a few weeks back, we were originally coming to the venue tonight to watch Australian Georgia Flipo aka G Flip, but she cancelled her tour. 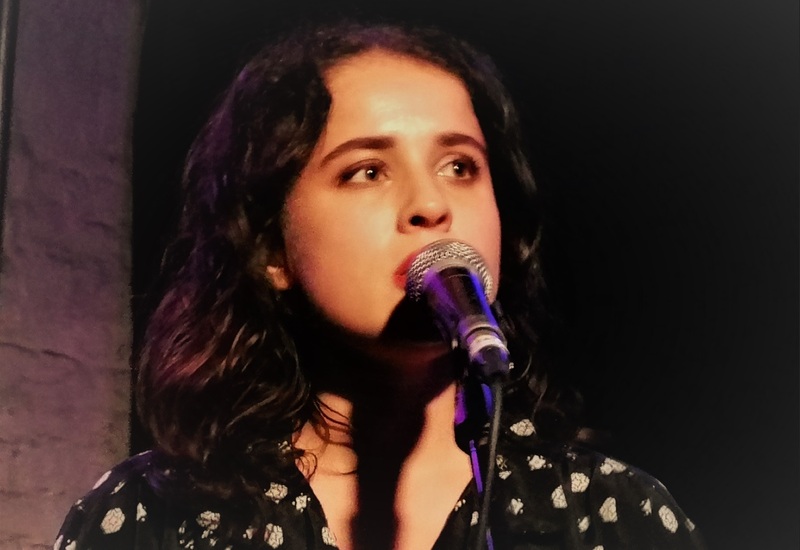 I had seen her at this years Great Escape and felt that a second viewing would be order of the day, so hopefully she will return to these shores after her US Tour and prior to heading home to Oz. 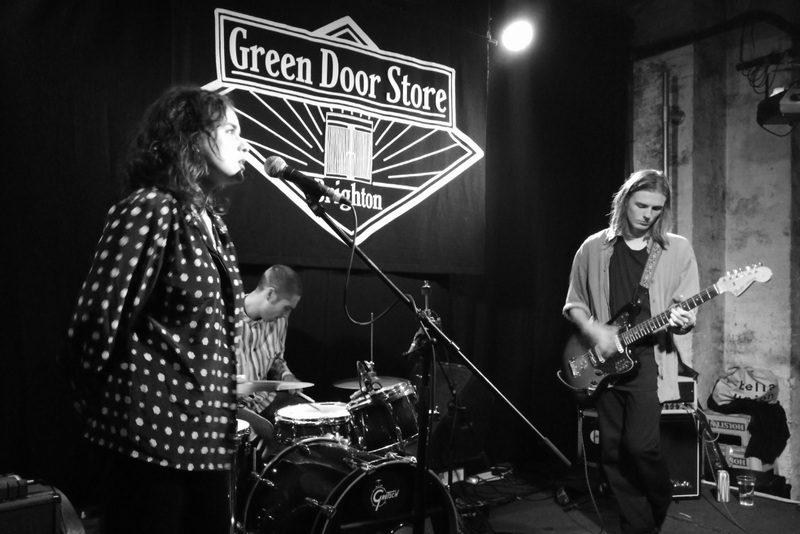 Each of this evening’s bands performing at the characteristic Green Door Store, were road testing their new material and so it was just like a showcase for them. 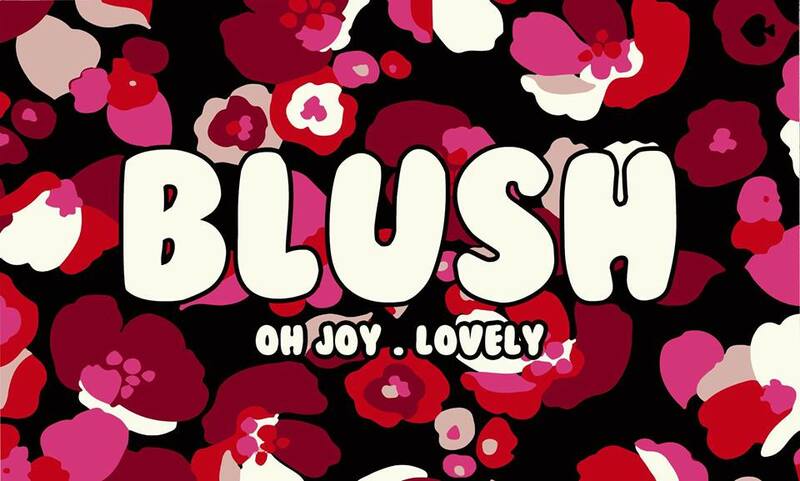 Heading the bill tonight are Blush, who are a Brighton based trio made up of Asya Fairchild on vocals and bass (who swapped to guitar), Kieren Taylor-Dixon on guitar (who swapped to bass) and Joe Klose on drums. 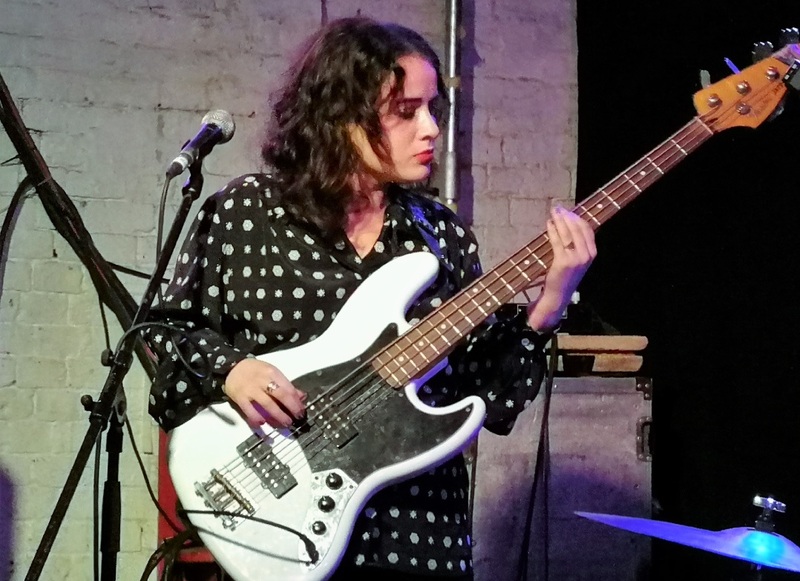 Asya also plays live as a member of Bella Union boss Simon Raymonde’s up-and-coming outfit, Lost Horizons. 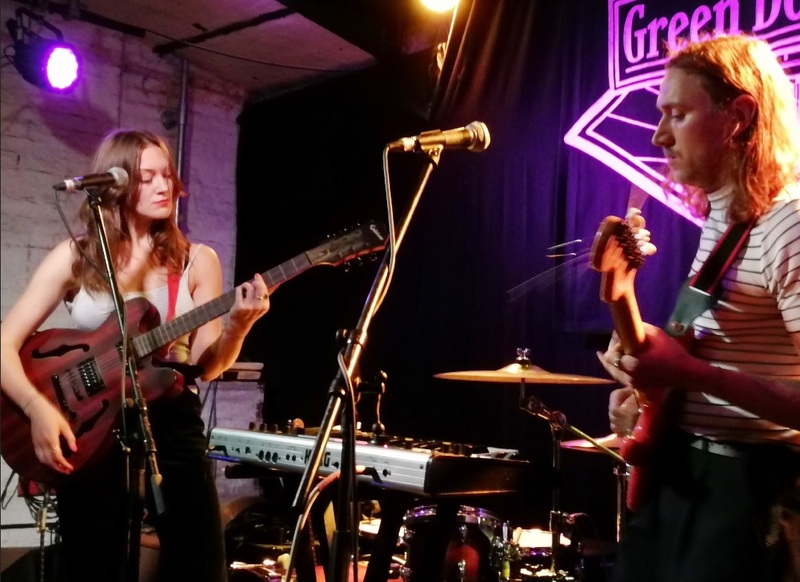 Tonight’s mainly unnamed set by this as yet unsigned band, had the feel of a jamming session to it, with elements of The Sundays meets the Cocteau Twins hidden within parts of their repertoire along with hints of haunting folk music. 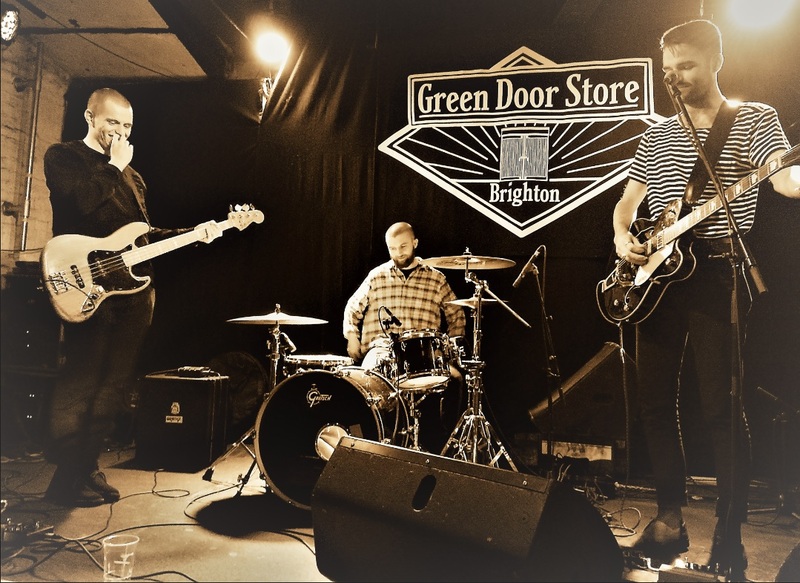 We did learn that one of their tunes is soon to be recorded with Jack from now Brighton based Penelope Isles, who incidentally were recently announced as one of the first 50 Great Escape acts for the 2019 lineup – well deserved I’d say. Looking forward to hearing this collaboration! 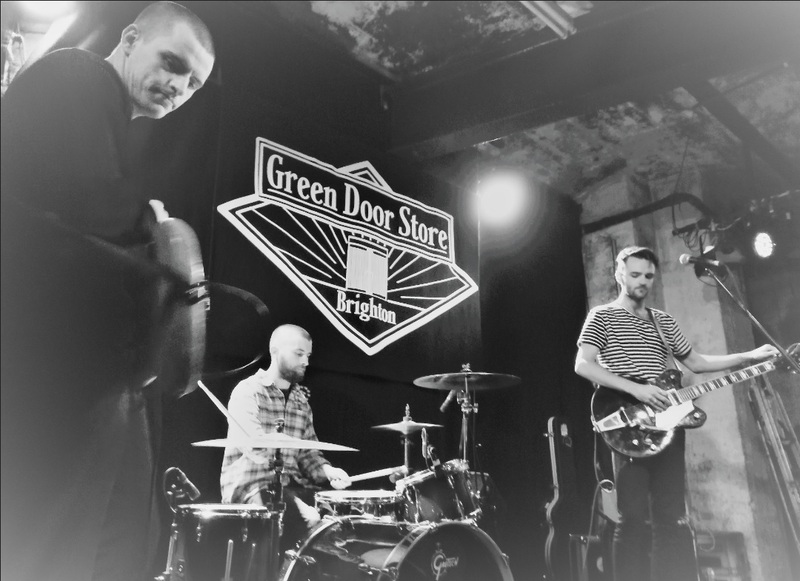 The middle band of the night was Oh Joy (Ollie Moyles guitar and vocals, John McDowell bass and Alex Cummins on drums), who recently moved from Dublin to Brighton. 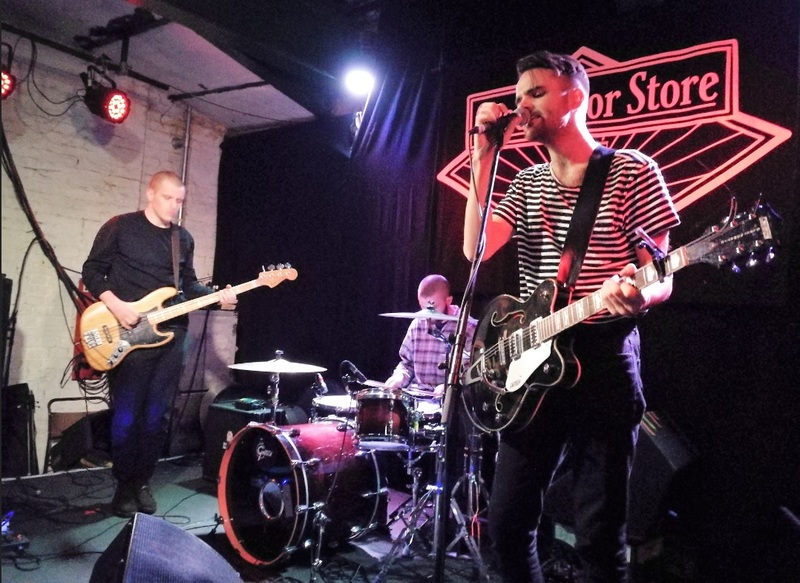 Although the band are in their relative infancy as they have been together for just three years or so, they have still managed to release two singles thus far. 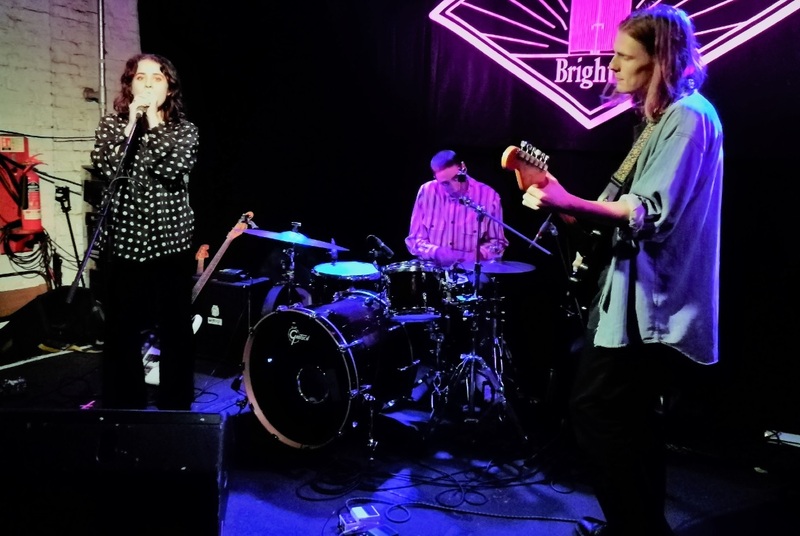 Since moving to Brighton they have been working on all new material which is set for release in 2019 under London label Veta Records. 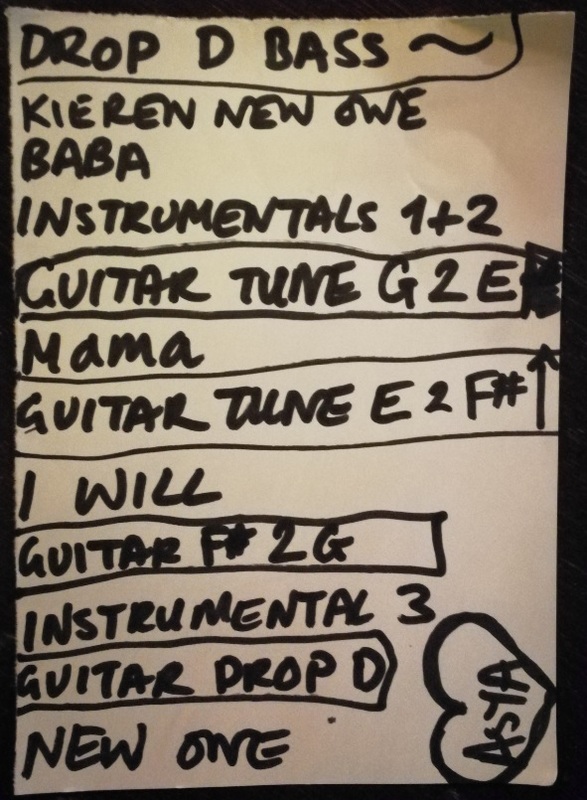 The set they played tonight has apparently only been written within the past nineteen days, and thus none of the tunes currently have any titles, with the exception of a powerful track called ‘So Swell’, which bellows out “I Did Work Today” in true Nirvana fashion – hear it HERE. 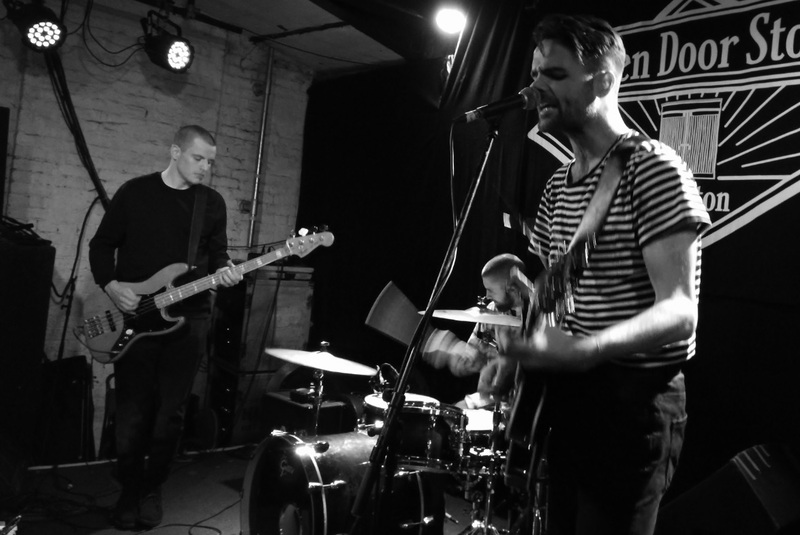 I would place these guys as Indie Rock meets Embrace meets the aforementioned Nirvana. 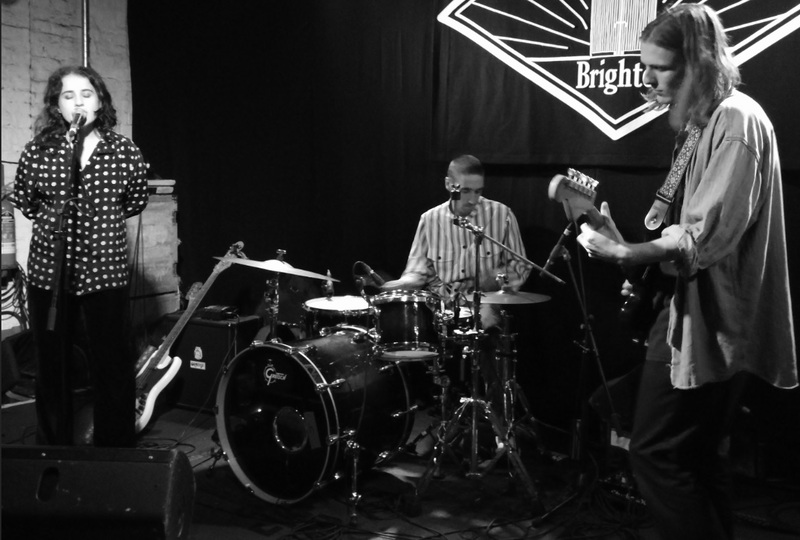 A band with definite potential methinks! 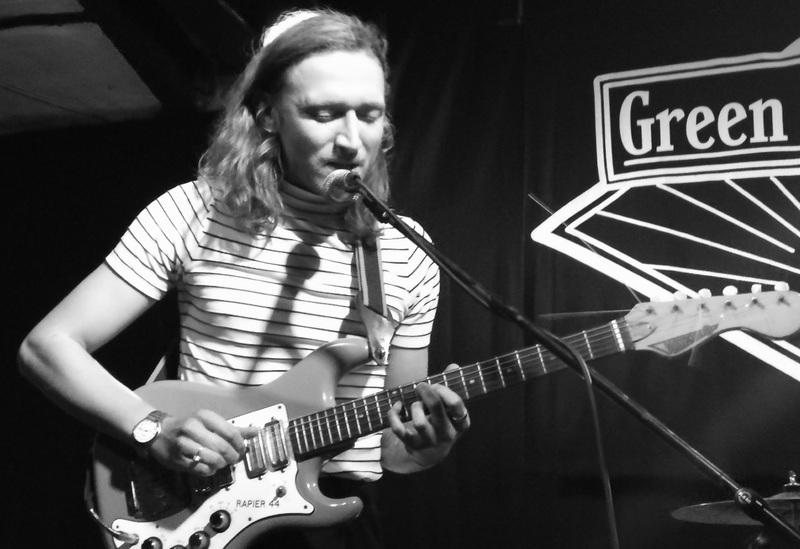 First up this evening were Lovely. Yep that’s their name and yes they were! They are two childhood friends from Dorset, namely Eleanor Strong and James Hazell. Eleanor now resides in London and James lives in Brighton. 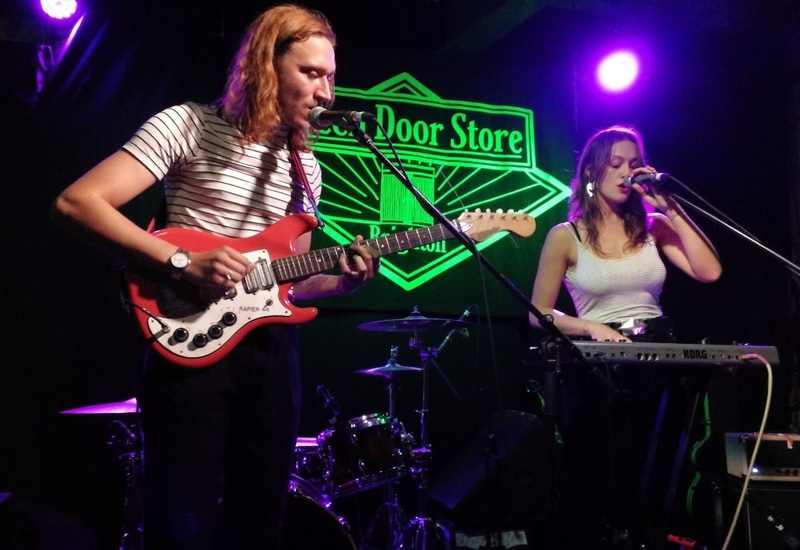 This charming duo are purveyors of dreamy bedroom pop and are steadily learning their craft of pleasant melodies laden with Korg synth mixed with guitar work. ‘Two More Sleeps’, ‘Young’, ‘Medieval’, ‘Blues’, ‘Jerry’, ‘Teenage Boy’, ‘You Were My Baby’.